Barely-there sandals are one of the season's biggest trends and we love Aquazzura's elegant take on style. 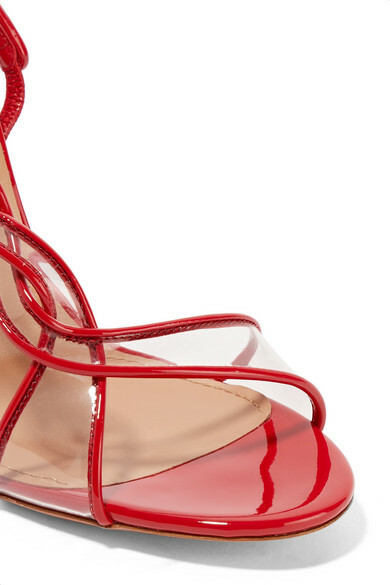 Crafted from glossy red patent-leather, this 'Swing' pair has braided straps inlaid with clear PVC that wrap up the side of your foot to a slingback strap. They're set on a thin 105mm stiletto heel and have a lightly padded insole for added comfort. Shown here with: The Vampire's Wife Dress, Bienen-Davis Clutch, Alighieri Earrings.